In Stock! This item ships in 2-3 days. 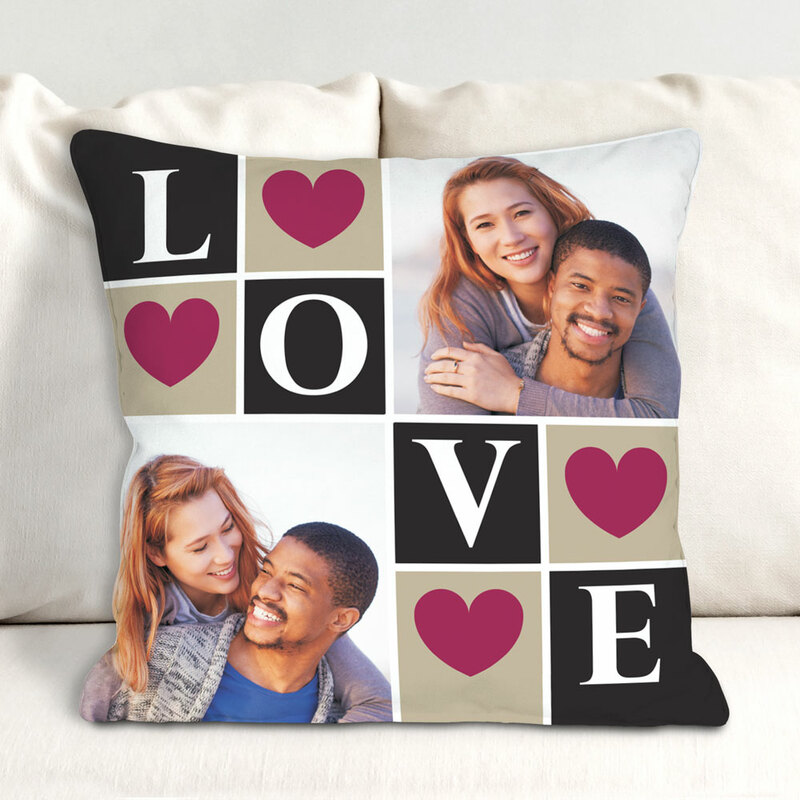 Let everyone that comes into your house know the love that you share with this Love Photo Collage Throw Pillow. Personalize this pillow with any two of your favorite photos. They are the perfect romantic gifts for home decor updates. Pillow insert is a soft, resilient, bouncy polyester fiber form. Available in 14" or 17" with white backing. Pictures came out very clear. Good quality.